Protein powder provides your body with a much-needed protein boost before and after a workout. The result can be bigger, better muscles and less soreness. 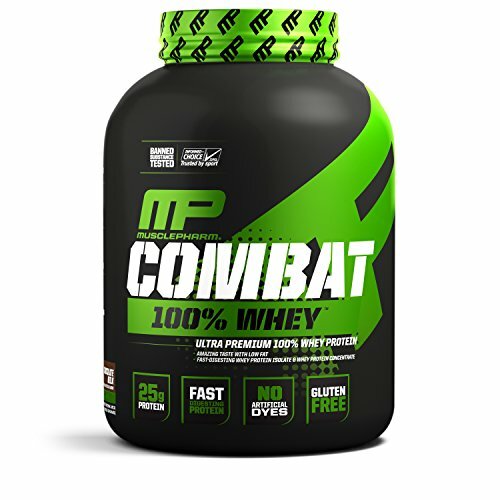 The latest protein from market leader MusclePharm is Combat 100% Whey Protein Powder. It’s been getting a lot of buzz, so its time to check out whether Combat slays the competition. We’ve got an in depth review of MusclePharm Combat, plus comparisons with three other leading brands. MusclePharm Combat 100% Whey> delivers 25 grams of whey protein, blended from concentrate and isolate. All 5 flavors taste great, but we still feel that the old standby Optimum Nutrition Gold Standard is a better product. It has a lot more flavors and includes digestive enzymes such as aminogen and lactase to make it easier to go down. Depending on which flavor of Combat you choose, the grams per serving changes a little, as does the number of servings per tub. You get about 130 calories per 33 gram scoop, of which the protein content averages out to 25 grams. The protein consists of a blend of whey protein isolate and whey protein concentrate. MusclePharm does not indicate what type of whey protein isolate has been used here. We don’t know whether it has been microfiltered or ion exchanged. The company produces a number of protein powders under the Combat banner and this is their pure whey product. That makes this a very simple, clean product. The directions are to mix one scoop of the product in 8-10 oz of cold water. It mixes well with no clumps and a nice light froth on the top after just a few flicks of the wrist in a blender bottle. The flavors all taste great. MusclePharm flavors tend towards the sweet side, so if you prefer a sweet tasting protein powder, then this product is definitely for you. The chocolate tastes like sweet chocolate milk whereas the vanilla is just like biting into sweet vanilla ice cream. The strawberry flavor has a sweet strawberries and cream type taste. The cappuccino tastes very good, but is not like an intense and rich mocha. It has more of a sweet, milky taste. It does contain a hint of coffee, but it is not a strong coffee taste. Most reviewers rate the Cookies n’ Cream as their favorite of all the flavors. It actually includes small pieces of cookie in the mix. Combat 100% Whey will mix into a smooth, sludgy consistency by adding a smaller quantity of water. This will allow you to use it as a batter for making such things as pancakes and muffins. However, you may find that when used in these contexts, the sweetness of the flavorings is a little bit overpowering. In general, MusclePharm has nailed all of the flavors on Combat 100% Whey – if you like sweet, you’ll love them! Combat 100% Whey is a lean protein powder. It is designed to supplement your daily protein intake. It can be used as a post-workout shake or as one of your 5-6 meals throughout the day. It digests fast without any gastro-intestinal issues. However, because MusclePharm does not indicate the specific type of whey that is used, there is likely to be some lactose in the product. This could be a problem for people who are lactose intolerant. MusclePharm Combat 100% Whey represents a very good value for money in terms of a 100% whey product. It comes in both a 2 pound and a 5 pound tub. Each tub of this product carries the informed choice logo. This gives you the absolute confidence that it is 100% free of any banned substance. Each individual batch undergoes rigorous testing to ensure that it is completely safe to use. Combat 100% Whey is a low fat, low carb protein powder. That makes it ideal for people who are followng a low carb, keto-type diet. It is also free of artificial dyes, colors, and gluten. MusclePharm Combat 100% Whey is a pretty simple product that delivers a quality blend of whey. However, we would have liked to have seen more specific identification of the protein breakdown so that we could know just how much lactose is contained in the product. The flavors here are great, but that is partly due to the addition of artificial flavors, of which we are not a huge fan. In addition, MusclePharm put out a Combat Crunch protein bar and a Combat XL high protein bar. 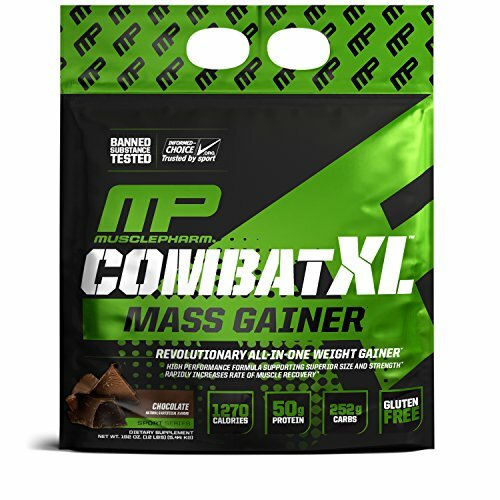 MusclePharm’s Combat XL Mass Gainer is a weight gaining supplement that contains 1270 calories and a whopping 50 grams of protein. You also get 252 grams of carbohydrates. Combat XL also provides you with MCTs, flax and chia seeds. There are four sources of protein in this product and you have your choice of a variety of tasty flavors. MusclePharm Combat 100% Casein is an ultra-premium, 100% casein protein that provides you with a great source of slow release amino acids. It makes use of the best micellar casein protein available, combined with a digestive enzyme blend. It allows your muscles to replenish and grow while you sleep. You get 28 grams of slow digesting protein, making this the ideal night time protein source. 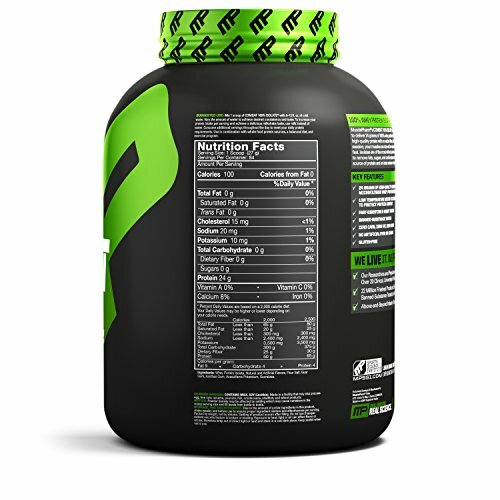 MusclePharm Combat 100% Isolate delivers a full 27 grams of pure isolate protein per serving. There are absolutely no fillers in this product. Isolates are the most refined protein sources, being scientifically filtered to remove fats, sugars and carbs. The lactose is also removed making this a great product for people who are lactose intolerant. MP Combat Protein Powder provides you with 25 grams of protein which is sourced from a blend of whey, isolate and hydrolized protein sources, along with egg albumin and micellar casein. This is a great tasting form of Combat that is fortified with a digestive blend which helps to prevent digestive upset. This is a great general use protein powder that will infuse your muscles with the amino acids they need to grow. 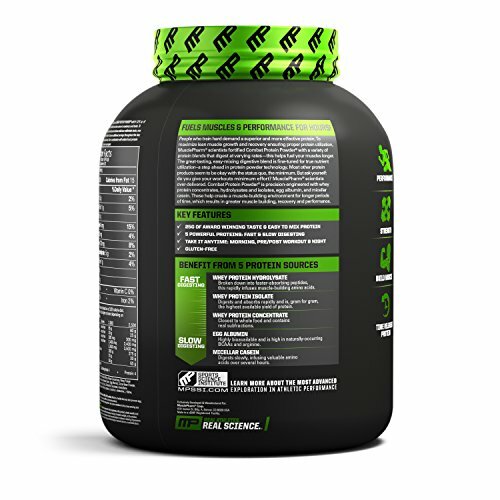 Muscle Pharm 100% Whey Combat is a great tasting blend of whey and isolate protein that is very low in carbs and fat. It has a rather sweet taste, thanks to some artificial flavors. With 25 grams of protein per serving, it will deliver the amino acids you need to fuel growth and repair. 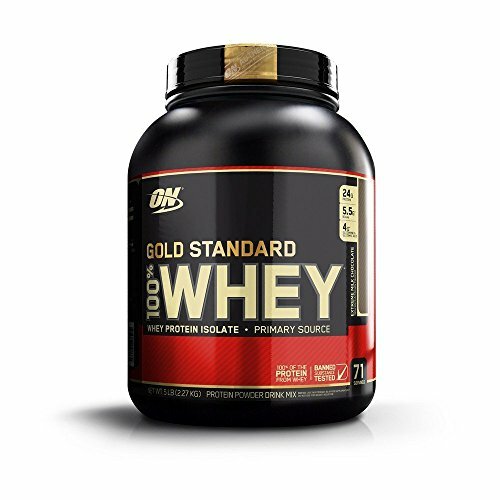 Optimum Nutrition Gold Standard 100% Whey has, indeed, been the gold standard among whey powders for a long time. So how does it compare with MusclePharm Combat? 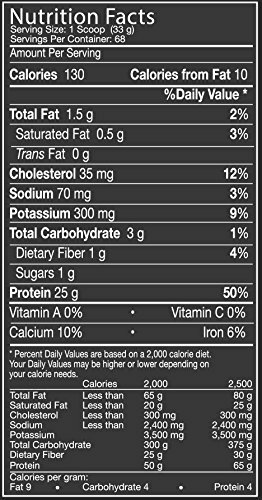 Optimum Nutrition delivers 24 grams of protein per serve, which is slightly less than Combat. Within that proteincount are 5.5 grams of BCAAs and 4 grams of glutamine. You get a far greater variety in terms of flavors, with 21 to choose from. However, though many of the flavors are very tasty, there isn’t anything here that is seriously better on the taste buds than the five flavors you get with MusclePharm. This protein blend is made up of four types of protein, including isolates, concentrates and peptides. It uses two differently filtered isolates to ensure that bioactive compounds and important sub-fractions are available. Aminogen and lactase have been included to provide faster absorption and digestion. The actual powder that makes up ON Gold Standard has a rather fine consistency, along with a strong, sweet smell. It mixes easily in a blender bottle and does not leave you with any gritty residue or a bitter aftertaste. Mixing Gold Standard with milk gives you a better consistency and better taste than doing so in water. This product is available in three sizes; 2 lb, 5 lb, and 10 lb. It has a protein by weight percentage of 77%, which is very similar to what you get with Combat. Overall, ON Gold Standard 100% Whey is a class act, which is why it is still the most popular whey powder on the market. It matches up to Combat in all areas, and offers more than four times the number of flavors. 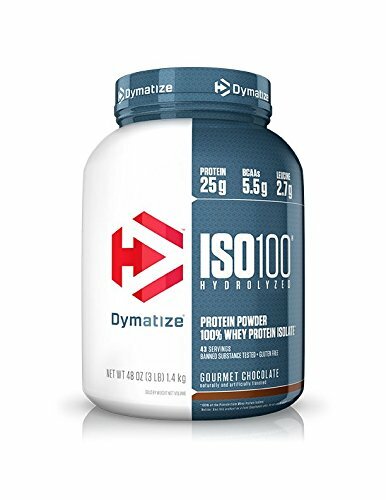 Dymatize Iso Whey Protein Powderis a hydrolized protein sourced whey powder. That means that it has been run through enzymes that break it down so that it is closer to its base form amino acids. This makes it much easier and faster to absorb. Every scoop of Dymatize provides you with 120 calories, 25 grams of protein, 2 grams of carbs, and 0.5 grams of fat. There is also one gram of sugar in every serving. These numbers are very similar to what you get with Muscle Pharm Combat 100% Whey. However, Dymatize is more salty than either Combat or Optimum Nutrition, containing 160 milligrams of sodium. The protein blend that makes up Dymatize consists of hydrolized whey protein isolate, whey protein isolate, cocoa powder, salt, spy, lecithin, natural and artificial flavors, potassium chlorides, and the artificial sweetener Splenda. There is no lactose at all in this product, making it palatable for people who are lactose intolerant. It does not include digestive enzymes such as aminogen and lactase for this reason. This product mixes very well in a blender bottle to produce a frothy shake with little or no grit. It comes in a range of flavors. The tastiest seems to be Gourmet Chocolate. While many flavors don’t do well when mixed with water, Gourmet Chocolate produces a sweet and milky chocolate taste that is bound to please. You will naturally pay a little more for hydrolized protein powder such as this. The biggest advantage is the faster absorption rate, which is not a priority for everyone. If this is important to you, then Dymatize is a good option. If not, you are better off sticking with the more cost effective options, such as MusclePharm Combat or Optimum Nutrition Gold Standard 100% Whey. BSN Syntha 6 Whey Protein Powder is the flagship product from BSN, which is a US company based in Illinois. There are actually six products in the Syntha 6 line. Their whey powder is specifically designed for bodybuilders who are trying to pack lean muscle tissue onto their frame. Each scoop provides you with 200 calories and 22 grams of protein, which is 3 grams fewer than MusclePharm Combat (and 2 grams less than ON Gold Standard). Syntha 6 has been fortified with BCAAs, muscle sparing glutamine chains, enzymes for enhanced digestion, and heart healthy MCTs and essential fatty acids. You get 5 grams of fiber with each serving of Syntha 6. The product is sold in 2 and 5 pound tubs. 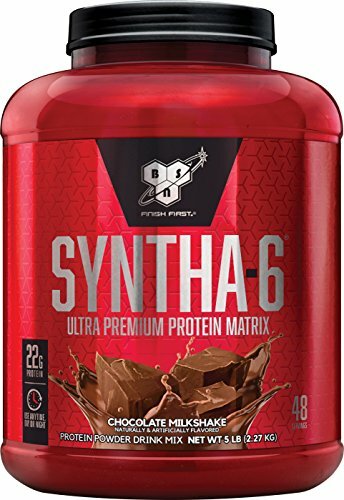 You can get Syntha 6 in six flavors, including chocolate milkshake, vanilla ice cream, strawberry milkshake, chocolate peanut butter, chocolate cake batter, and cookies and cream. They generally taste pretty delicious, with the consensus being that cookies and cream is the best. Mixability is good and the blender bottle made shake will not produce any annoying residue or grittiness. It should be noted that BSN Syntha 6 Whey Protein Powder contains products derived from soy, milk, egg and wheat, so if you are intolerant to any of those products, you may want to steer clear of this product. Also, as it contains milk protein isolates, some vegetarians may want to avoid using this product. 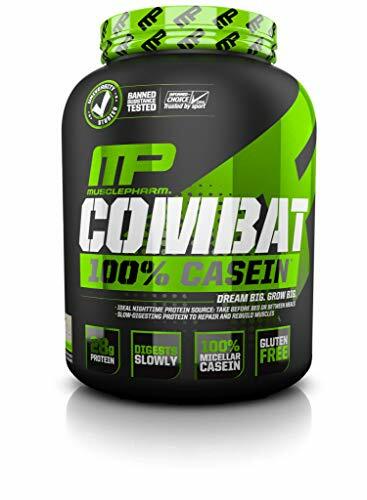 MusclePharm Combat 100% Whey protein powder is a solid whey based protein powder that provides you with the amino ammunition that you need to succeed. It mixes well, comes in some tasty flavors, and is quick absorbing. On the downside, it does contain some artificial flavors, which produce a very appealing sweet taste. Combat is a close match to Optimum Nutrition’s Gold Standard 100% Whey, but we feel that ON still nudges it out. Optimum Nutrition Gold Standard has a lot more flavors and includes the digestive enzymes aminogen and lactase, making it more digestible and able to be used by people who are lactose intolerant. Bottom Line – Combat is a very good whey protein, but ON Gold Standard is still the best!